Caption slip reads: "Photographer: Lou Mack. Date: 1960-06-22. Assignment: Hot weather pix. 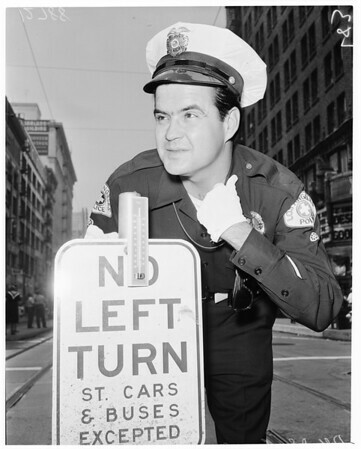 Traffic officer John Creighton, 27, looks at thermometer, 7th & Broadway which reached 98 [degrees] at 11 a.m."